Bright new future for Moseley Road Baths! The Moseley Road Baths Coalition is delighted that Birmingham City Council has taken the decision to keep Moseley Road Baths open for swimming until the end of March 2018. This is great news for swimmers and fans of the baths, and for the community of Balsall Heath. The recently-formed Moseley Road Baths Coalition is made up of the Friends of Moseley Road Baths, Moseley Road Baths Action Group, Historic England, the National Trust and the World Monuments Fund. The coalition team has been working with Birmingham City Council to explore a sustainable future for the baths that includes swimming, for what is unquestionably one of Birmingham’s most important heritage buildings and one of the nation’s most significant swimming pools. The decision to keep the building open for swimming gives the Coalition, working together with Birmingham City Council, time to develop an alternative way of keeping the pool open (either through transferring operations to a Community Interest Company or via another operator), and to work on plans to bring all of the building back to life – a complex task which will require significant investment, given the scale and complexity of the backlog of conservation and building works required. Rhodri Evans, Historic England Principal Adviser Heritage at Risk West Midlands said: ‘We welcome the City Council’s decision to keep Moseley Road Baths open until March 2018. 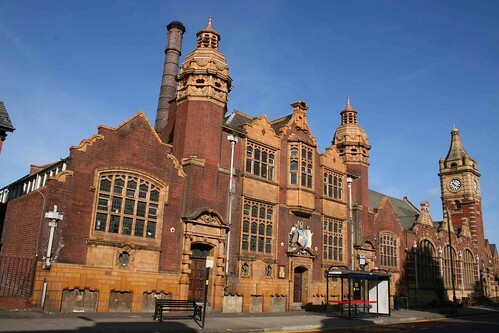 Moseley Road Baths is one of only 5 Grade II* baths in England and the oldest still in use for swimming. It has been on our Heritage at Risk Register since 2005 and we have already funded an Options Appraisal outlining a number of potential future uses. The additional time will enable us to continue working with the Coalition and the City Council to find a sustainable future for this significant symbol of Birmingham’s civic pride. Why is Moseley Road Baths special? The baths are of great heritage significance and are an important part of our city’s identity. Moseley Road Baths are the only Grade II* baths that predate 1914 and remain in use. One of the oldest of five Grade II* listed baths in the country, they contain some unique fixtures and fittings, including a complete set of 46 private washing rooms with baths (in use until 2004), and original oak ticket offices and attendants’ kiosks. Also, possibly the only surviving steam-heated drying racks in a British swimming pool, and a three sided spectator gallery with unique balconettes in the Gala or First Class pool. So significant are the Baths that the Friends of Moseley Road Baths secured the interest of the World Monuments Fund, who added the building to their World Monuments Watch List in 2016 of 50 important buildings and monuments from across the globe. Built to encourage Balsall Heath to join the Corporation of Birmingham in 1907, the baths and the adjacent library are full of glorious details and both interior and exterior are a real testament to the designers, manufacturers and workmanship of Birmingham and Britain at this time. It spoke of a huge civic pride of a city and its people.